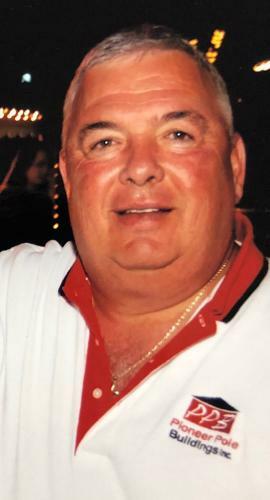 The Life of Edward L Perhonitch Sr.
Edward L. Perhonitch Sr., 69, of Schuylkill Haven, pass-ed away Tuesday, Jan. 22, at Lehigh Valley Medical Center-17th Street, Allentown. Edward is survived by six daughters, Robin Cotterill, Charlene Keita, Kathlene Hardy, Kristen Perhonitch, Jodi Perhonitch and Lori Weaver-Kershner, wife of Chad; five sons, Robert, husband of Diane Greene, Joseph Greene, Edward L. Perhonitch Jr., husband of Kristin, Michael Perhonitch, and Adam Gamrak Jr. He is also survived by grandchildren, Bryan, Matthew, Allison, Joseph, Henry, Joshua, Roy, Daunte, Nathan, Adyson, Jadyn, Tori, Skylynne, Zach, Trinity and Talan; great-grandchildren, Lenon, Kaylee and Kyree; nieces, Jamie and Kimberly Tregea; nephews, Gerald Bonko Jr., Christopher Perhonitch, Nicholas Perhonitch Jr. and Jordan Tregea; mother-in-law, Joan Tregea; brothers-in-law, James Tregea Jr., and Morgan Tregea, husband of Linda. A Celebration of Life funeral service will be held at 10:30 a.m. Monday, Jan. 28, at Geschwindt-Stabingas Funeral Home Inc., 25 E. Main St., Schuylkill Haven, with Pastor Randy Ott officiating. A viewing will be held from 5 to 7 p.m. Sunday, Jan. 27, and from 9:30 to 10:30 a.m. Monday at the funeral home. Interment will follow at Schuylkill Memorial Park, Schuylkill Haven. To extend online condolences, please visit www.gsesfuneralhomes.com. Geschwindt-Stabingas Funeral Home Inc. has been entrusted with arrangements.